You are now being transferred to AAAFx to complete your registration. 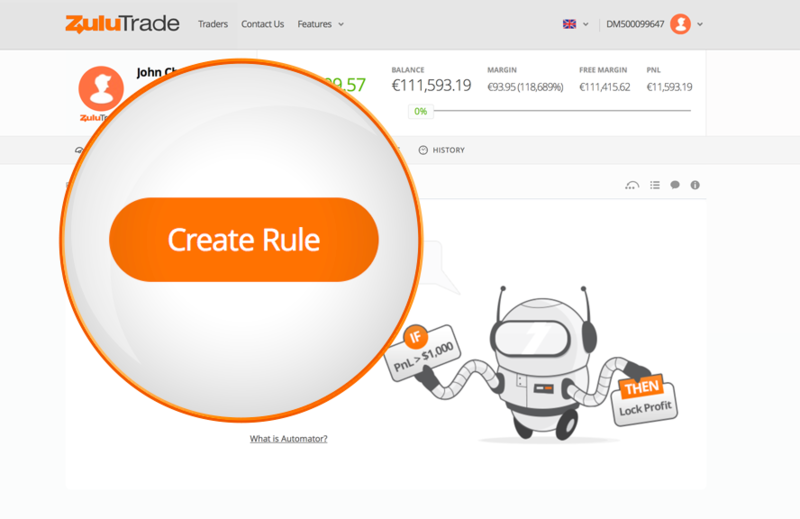 Automated Trading with your rules! We imagined the ZuluTrade Automator to be your personal assistant: it can watch and notify you when things happen or automatically execute any action you would otherwise do yourself. You can create and execute your own automated rules, using an if this then that logic, and essentially create their own settings, by building your own automated rules! 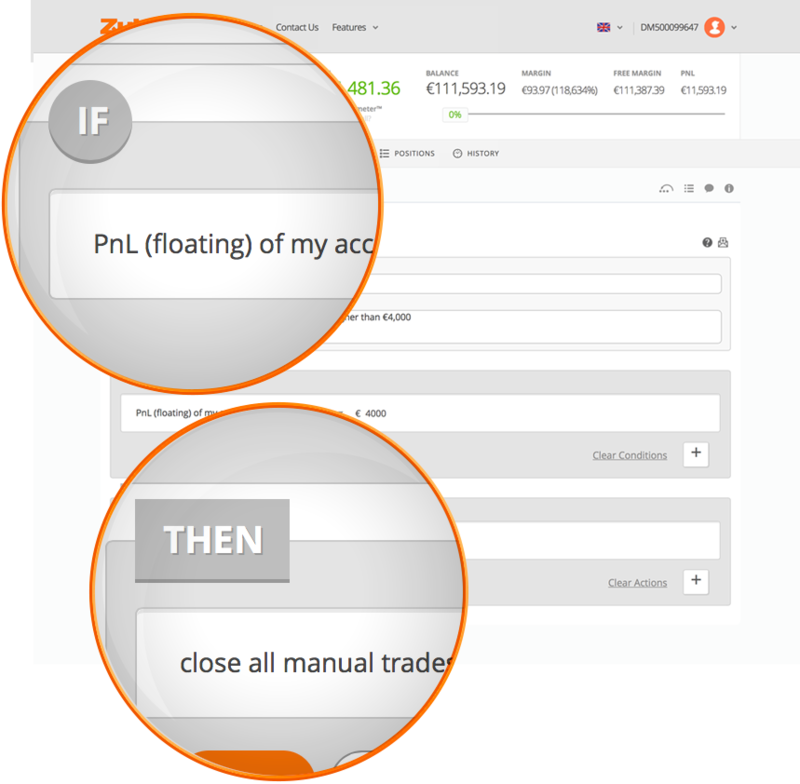 You can find the Automator and built your rules at the Settings tab of your Forex account. 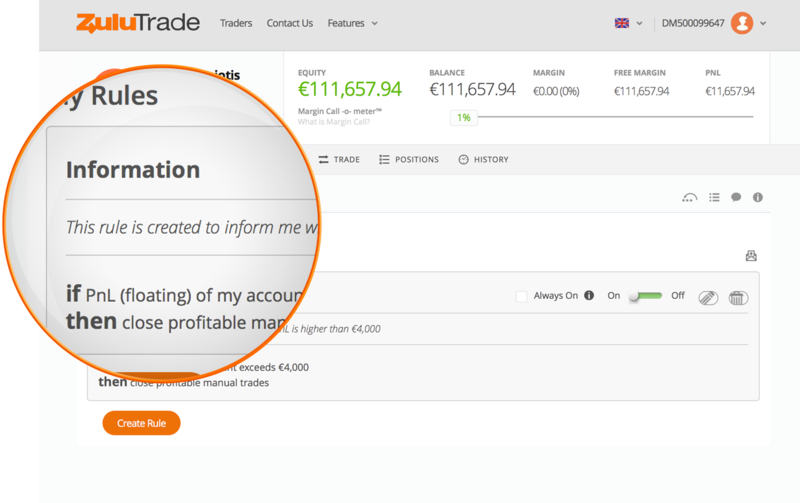 You can set rules to lock your profit, to update Stop/Limit for selected trades, to close profitable trades or to simply notify you. In the Settings tab for any Live or Demo account, you will find the Automator option to create your own rules. Creating a rule is simple, just give your rule a title, a short description and set the conditions & actions for your rule. Once the rule is activated, you will receive an account notification, as well as a relevant email.